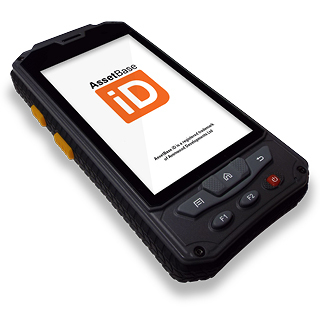 AssetBase iD is a mobile asset management solution that puts you in control of your physical assets wherever they are. Identify and manage all of your assets usage, condition and locations at anytime using an internet connected device and cloud managed database. Whether your assets are fixed in a single location, across multiple locations or mobile, AssetBase iD will help you to manage them from wherever you are. 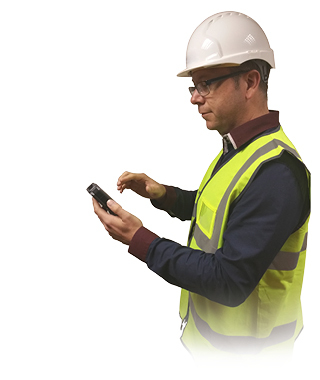 AssetBase iD provides a valuable tool for any organisation requiring accurate identification, management and control of any physical asset. For more information on how the system has helped our customers, visit our case studies page here. Small enough to hold in one hand, yet big enough to get your job done, capturing data could not be easier with the rugged AssetBase iD compact handheld scanner. Both intuative and user friendly, the android based system has 3G, wifi, GPS and bluetooth capabilities. 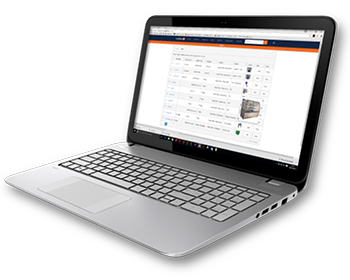 With the ability to scan product barcodes, QR codes or RFID tags, you simply scan and upload to the cloud. The handheld scanner is also dustproof, waterproof and you can even use the scanner as a camera taking pictures of an asset so you know what it looks like or visually record important details such as serial numbers and part numbers. Track – From your android app or desktop login, follow your assets location, information and status. Trace – Find your asset and Identify the location using our online database saving time and effort. Record – Add, update and create asset information, automatically schedule tasks, setup alerts, add documents and manage user accounts. Report – Reporting information can be automated and exported in various formats including Word, Excel, CSV or PDF files. The AssetBase iD database has customisable fields allowing you to build and modify the database to suit your specific applications. Analytics can be created using different graphs and tables allowing instant and easy access for reports on the exact information you need to successfully manage all of your critical assets. AssetBase iD is supported by our in-house programmers and expert asset logistical team. We can work with you to tailor the software to a fully bespoke package. Please contact us on 01202 868000 or email sales@avonwood.co.uk to discuss how we can help create an asset management solution tailored for you.